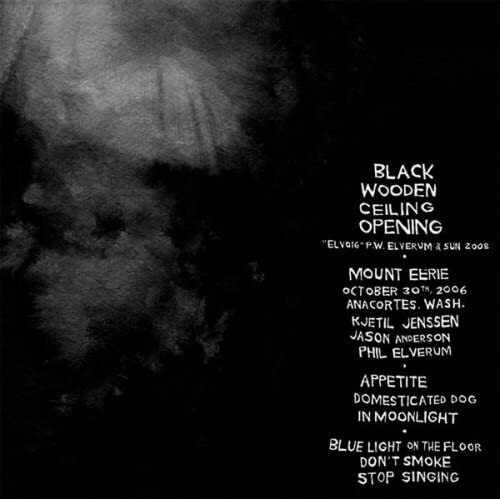 The Black Wooden Ceiling Opening EP is on Amazon’s MP3 store for a mere $6. I haven’t heard it yet but, as with all things Phil Elverum, I feel a moral obligation to buy it and support the dude. In even more exciting news, a 17-track solo acoustic album of the glorious songs Elverum wrote in Norway in 2002/2003 and has been playing live for a while (see: this unreal bootleg) entitled DAWN is due later this year. Studio “As Good As It Got”? Please, God.